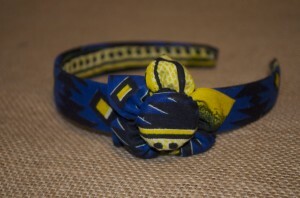 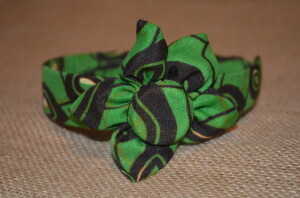 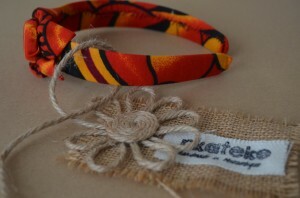 Capulana hairband with material flower suitable for adults and children. 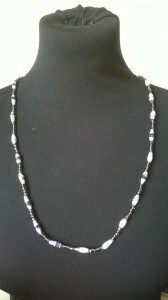 Also comes in plain style with no flower. 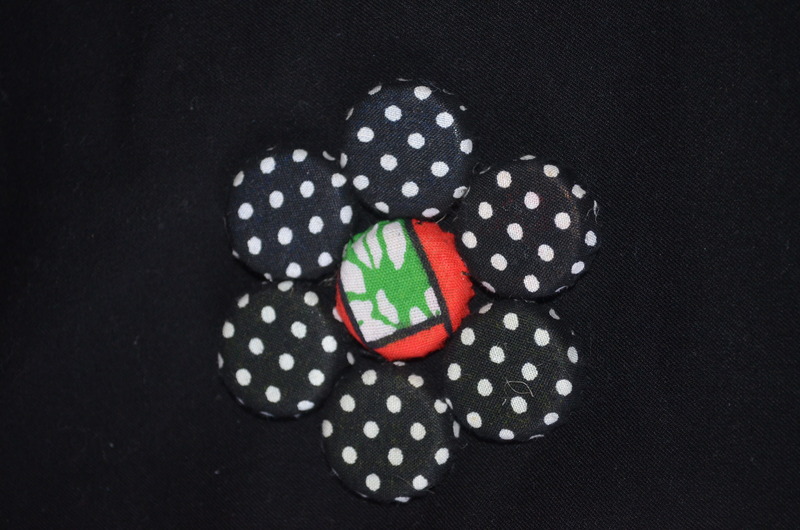 The signature flower is made with a bottle cap. Each individual material bead is lovingly covered with strips of capulana and artistically arranged with complimentary colours interspersed with plain coloured beads to make these beautiful pieces of jewellery. 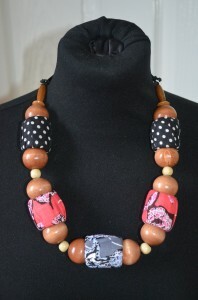 Each necklace and bracelet is fastened with a screw fastener. The range of colours caters for those who prefer subtle shades to those who want something a little more dramatic. 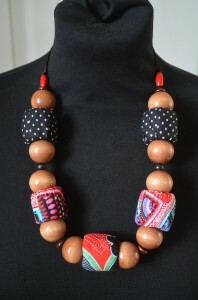 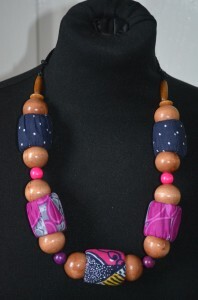 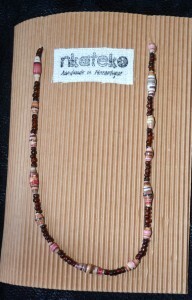 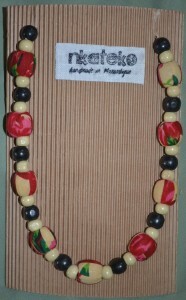 These bold and bright necklaces are fantastic statement pieces are made with big beads covered in Capulana material. 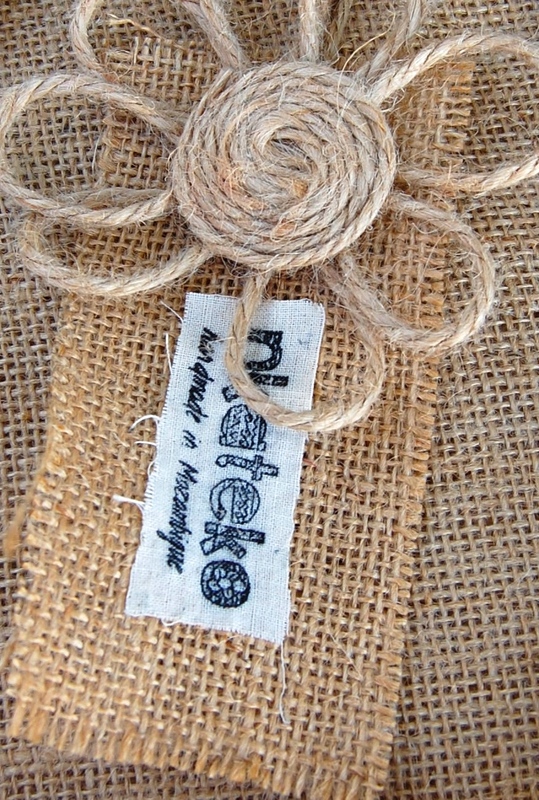 They can be lengthened and shortened by a drawstring. 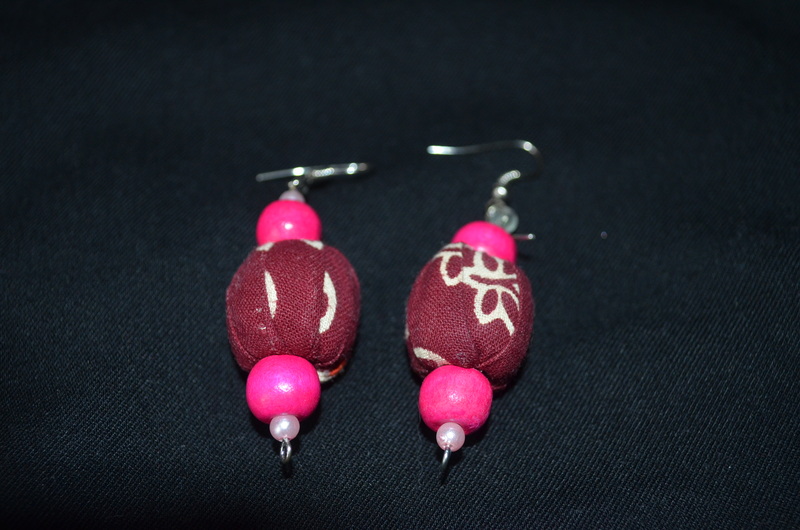 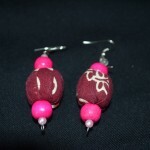 These drop down earrings are lightweight and easy wear. 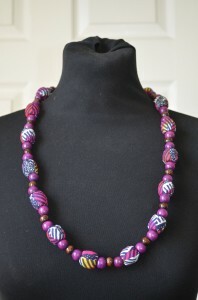 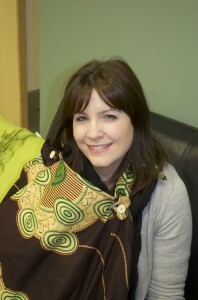 The range of colours match and compliment the other types of capulana style jewellery. 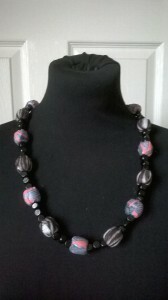 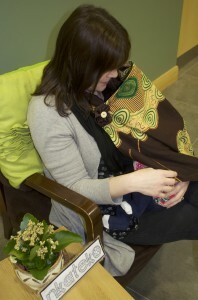 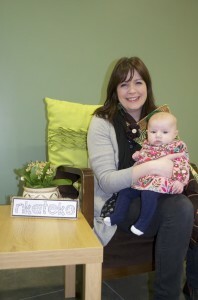 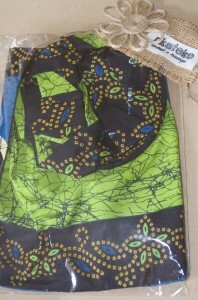 All of our items try to use materials that are easy to find and where possible wouldn’t have a use otherwise. 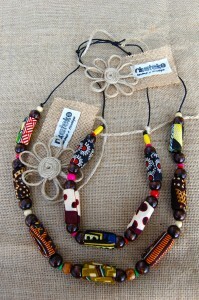 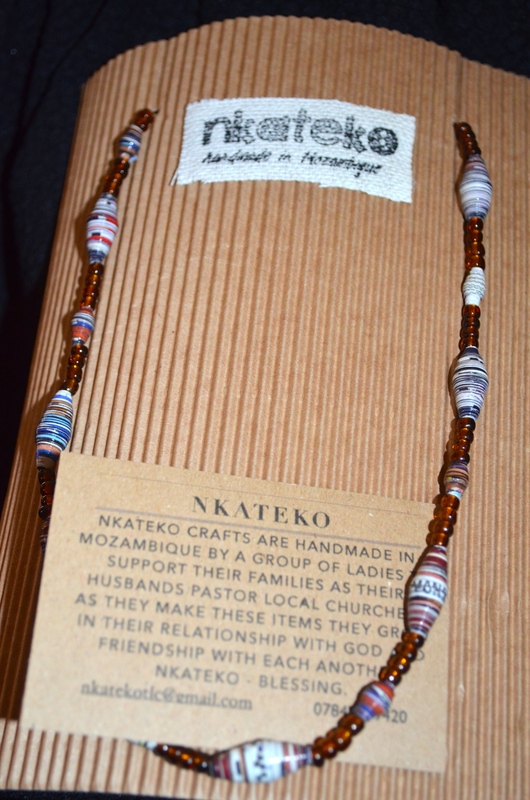 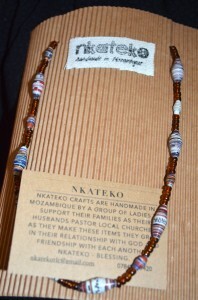 This is demonstrated in our pot stands and coasters but also in these beautiful necklaces. 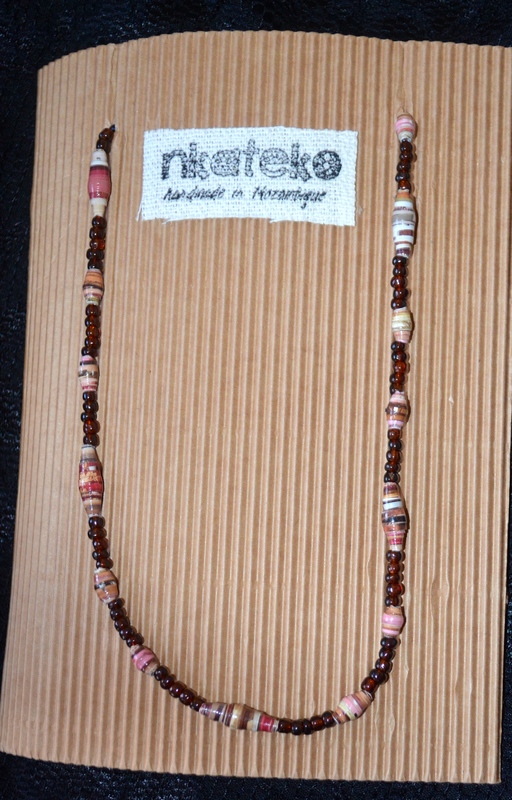 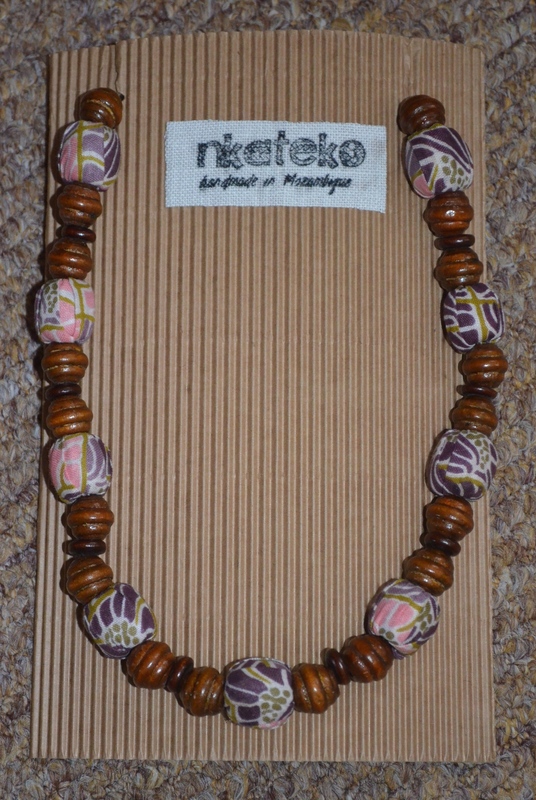 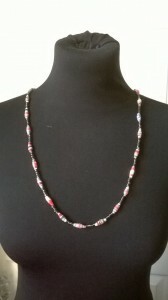 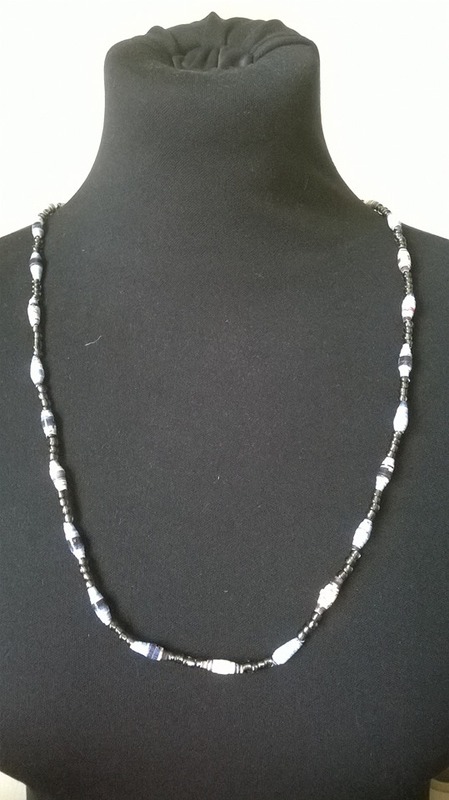 The feature beads are made from magazines (with a bit of effort and skill) and then stringed together with glass beads to make a slimline subtle beaded necklace with a bit of a twist. 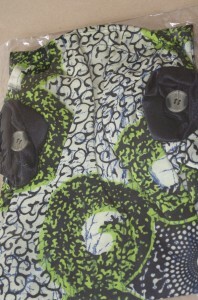 Most are long enough to slip over the head but all have a catch to ensure they are easy to put on. 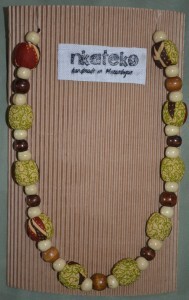 Made from Capulana material and bottle caps these stands are a beautiful way to brighten your room and save your surfaces. 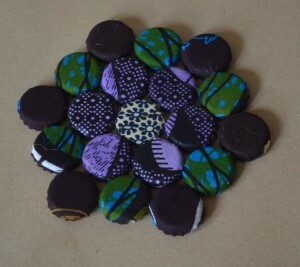 They come in a range of colours and can be matched with our coasters.